U.S. energy consumers are increasingly aware and broadly supportive of the smart grid, but relatively few of them participate in most smart-grid related programs and products, according to a study released last week. Nearly three-fourths of U.S. consumers have at least heard of smart meters and the smart grid, according to a longitudinal study published by the Smart Grid Consumer Collaborative (SGCC), an Atlanta-based nonprofit that does market research for industry stakeholders on energy consumers. Seventy-two percent of respondents were familiar with smart meters in 2017, up from 52 percent in 2015, the last time the study was performed. Slightly less — 70 percent — were familiar with the smart grid, which the SGCC study defines as “a set of new technologies to upgrade the grid that carries electricity to homes and businesses.” That’s up from 47 percent of respondents who said they had heard of the smart grid in 2015. The findings come as utilities across the Midwest are investing billions into grid modernization efforts and deploying smart meters, smart switches and various other “smart” technologies across the power distribution network. 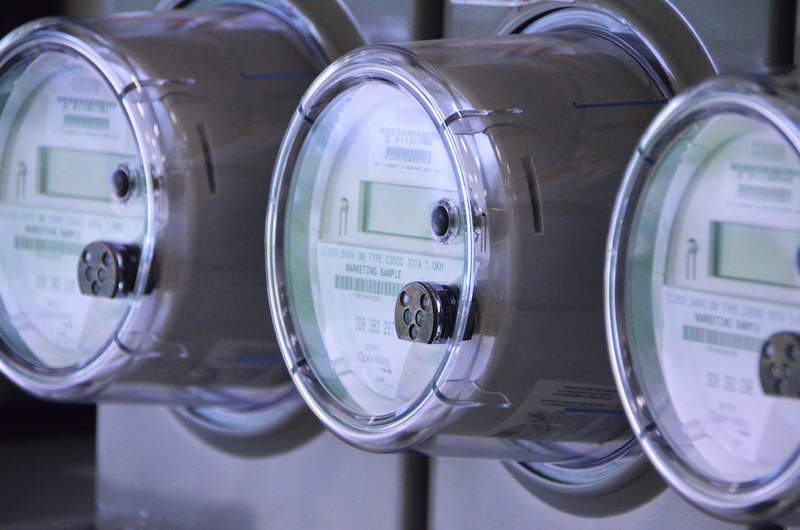 In Illinois, for example, deployment of Advanced Metering Infrastructure, or smart meters, has grown 1,400 percent from 150,000 smart meters in 2010 to 2.3 million, according to data from the U.S. Energy Information Administration. Coupled with this technological deployment is an education and outreach effort by companies, industry groups and advocates seeking to build consumer support for the changing grid. Many view the power system as becoming more of a two-directional system, in which the line between production and consumption is blurred. Just as the technology changes, so too will consumers’ role in the power system — from passive to active. This requires a shift in perception given that the power grid has, largely by design, operated inconspicuously without much thought from the average consumer. Last week’s study suggests that industry efforts are having an impact, though SGCC cautions that methodological factors could be responsible for at least part of the increase. Previously, the study was performed over the phone, but SGCC switched to an online panel in 2017. Still, SGCC research coordinator Bridget Meckley is optimistic the overall trend is toward a more smart-grid-aware public. Illinois utilities also report a more engaged public. Just over half of ComEd customers that were aware of smart meters in 2016 felt that the technology would benefit them personally, up from 41 percent in 2013, according to the utility’s 2017 smart-grid report. Although only a small fraction of ComEd’s ratepayers are enrolled in smart-grid programs, the number of participants is rising quickly. Only 53,000 customers had enrolled in ComEd’s Peak Time Savings program by the end of 2015. A year later, that number had nearly tripled to 150,000. In 2016, Ameren Illinois doubled the number of customers enrolled in their Peak Time Rewards program to 20,000, according to the company’s 2017 smart-grid report. Nearly nine out of 10 respondents said it was important to have an energy-efficient home, and 82 percent favored clean-energy investments when no additional costs were involved. Support dropped as hypothetical consumer cost was added to clean-energy expansion — only 41 percent of respondents supported utility investment into clean energy if it cost them an extra $15 per month. Consumers are generally interested in smart-grid programs and products, but that interest rarely translates to action, the survey found. Nearly two-thirds of respondents said they would probably or definitely participate in real-time energy usage information programs, but only 4 percent said they already were participating in them. On the hardware side, 74 percent of survey respondents said they were somewhat interested in or very interested in an energy storage system, but only 2 percent already had one. SGCC also examines various demographic, economic and geographic factors, segmenting consumers into various groups and categories to help utilities engage with them. It found that there is a strong overlap between “those who embrace a digital lifestyle and those who have an affinity for a clean energy lifestyle.” This group tends to be younger, urban and college-educated. The challenge is that many of the people who fall into this category — millennials, namely — also tend to experience some of the greatest obstacles to the adoption of smart-grid programs and products. Many young city-dwellers do not own their home, which makes them reluctant to spend the time or money to embrace smart-grid-related benefits. When asked about barriers to engaging in energy-saving activities, 59 percent of respondents said they were “unable to change features to make [their] home more energy efficient.” This was the most-cited reason for not adopting energy-saving activities, even among those most likely to support smart-grid efforts. And renters are not an insignificant segment: As of July 2016, only 62.9 percent of Americans owned their homes, according to the U.S. Census. The country’s homeownership rate hasn’t been that low since 1965. “The renters segment has been a hard one to serve,” said Gomathi Sadhasivan, chairman of SGCC’s research committee. The Smart Energy Consumer Collaborative suggests utilities could boost participation by not treating customers the same. Smart meters offer a ton of information. Now advocates are trying to make it easier for customers to access and use.